“Eurovision is the most pop contest ever; rock songs don’t stand a chance!” “When did the song really matter at Eurovision?” “It used to be about the music but now it’s all political”. Those who keep saying that probably live in a bubble and don’t really follow Europe’s biggest annual song contest. All the above viewpoints have nothing to do with the results of the first and second Eurovision 2018 semi-finals which took place May 8 and May 10. 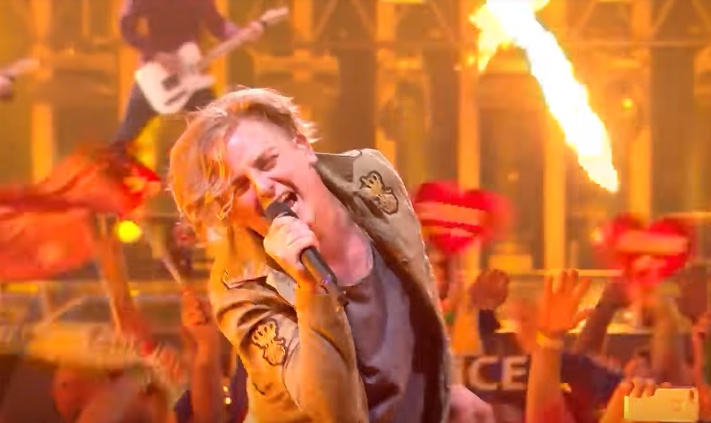 All three rock and metal acts of ESC 2018 have made it to the Grand Final! It’s Albania’s Eugent Bushpepa with his emotional song ‘Mall’, an ear-pleasing country rock act Waylon from the Netherlands and a post-cardcore headbanger ‘Vyslat Nyar’ from Hungary’s band AWS. 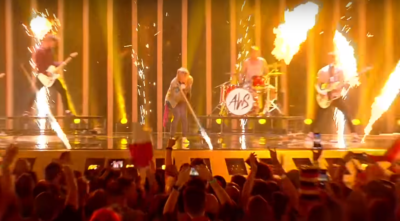 Hungary’s band AWS truly created their own metalcore show on the stage of Eurovision 2018. The performance had everything in it: from bombastic pyros to crowdsurfing to screamed vocals to headbanging. And though the band is very young, they’ve connected to the public so well that you could have easily bet on them qualifying to the final. Moreover, AWS have impressed the public so much that they got an invitation to play Wacken Open Air this August! How is that? And what are your thoughts on the qualified rock acts? Who is the winner for you personally? Do you like what we’re doing? If so, help us grow by sharing the article – this way we can keep providing you latest news and fun interviews with your favorite bands! Stay tuned with AlteRock Facebook and Twitter to never miss on the news about your favorite alternative music!